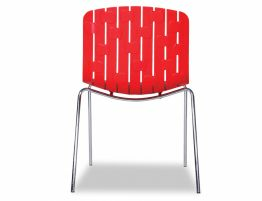 Spanish Designers Enrique Marti Associates, have an eye for detail and flair. 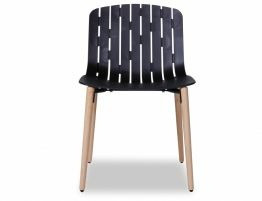 The Gotcha original casual dining chair is elegant and simple, with designer detailing featured on the back. 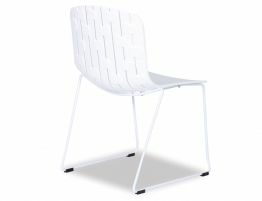 Slightly wider than your average chair the white Gotcha chair has room for comfort. Gotcha's poly seat and powder coated steel frame are made of the most durable of modern materials making it easy to maintain and wipe down after many meal times. 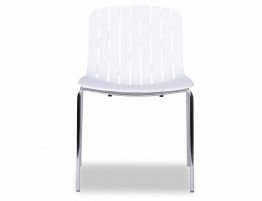 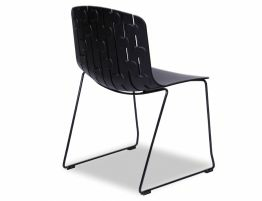 Gotcha Chair is the most versatile of all chairs making it a fab solution for your cafe or at home needs.